Running with SD Mom: #RockNBlog: @WomensRunning #Giveaway and Discount Code! 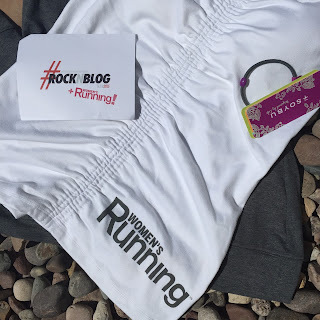 #RockNBlog: @WomensRunning #Giveaway and Discount Code! Disclaimer: I received Soybu gear from Women's Running as part of my ongoing Ambassadorship with Run Rock n Roll Marathon series! Hi friends! 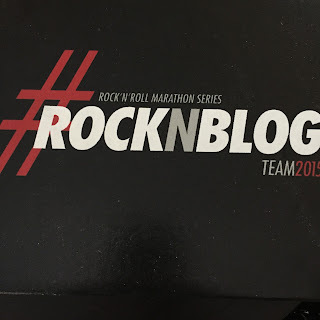 As you know, all year long, I have been part of the Rock n Blog 2015 team! And I couldn't be more honored or be surrounded by cooler people! I have made awesome friends and run some fun races! In fact, I am running Rock n Roll LA soon on October 24. I am super excited about this one because I will be rooming with none other than Sarah aka Mom on Empty! Love that lady! I would love for you to join me. Here is a code for $15 off! Feel free to share with everyone! AND I have a code for you for the race that NEVER has discount codes: Rock n Roll Las Vegas! It is valid for $15 off until the race sells out! Well, thru Rock n Blog, I was introduced to Women's Running Magazine. Do you read it? I am in LOVE! Perfect articles for the Woman Runner! Like this Guide to Beginning Running! I sure could have used this 3 years ago! Or the latest issue with advise on GPS watches and trail running! And OF COURSE I have a discount code for you! Use code SDMOM valid for $9.99 subscription (normally $19.99) to Women’s Running Magazine! Please share this with friends, family, Twitterverse, anyone that may be interested! 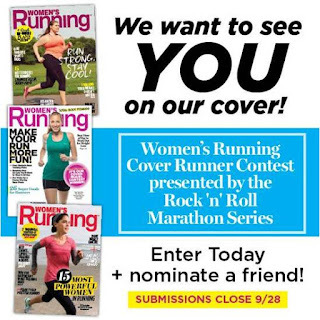 This is where you can use the discount code to subscribe: http://runrocknroll.co/lUlDmH. But wait...there is more! 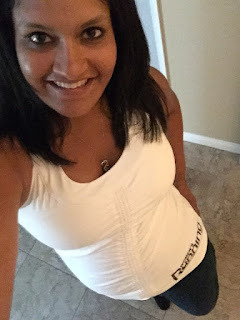 As part of my ambassadorship, I received a white Goddess tank and a gray Athena pullover from Soybu. Unfortunately, I got it in a size Small. Fortunately for you, I can't wear it. So, I am giving away the Pullover and the tank in a size small to ONE LUCKY WINNER! My loss, your gain! But don't feel sad for me...they sent me my own in a Large! So want to win the tank and pullover? Enter to win on the Rafflecopter! 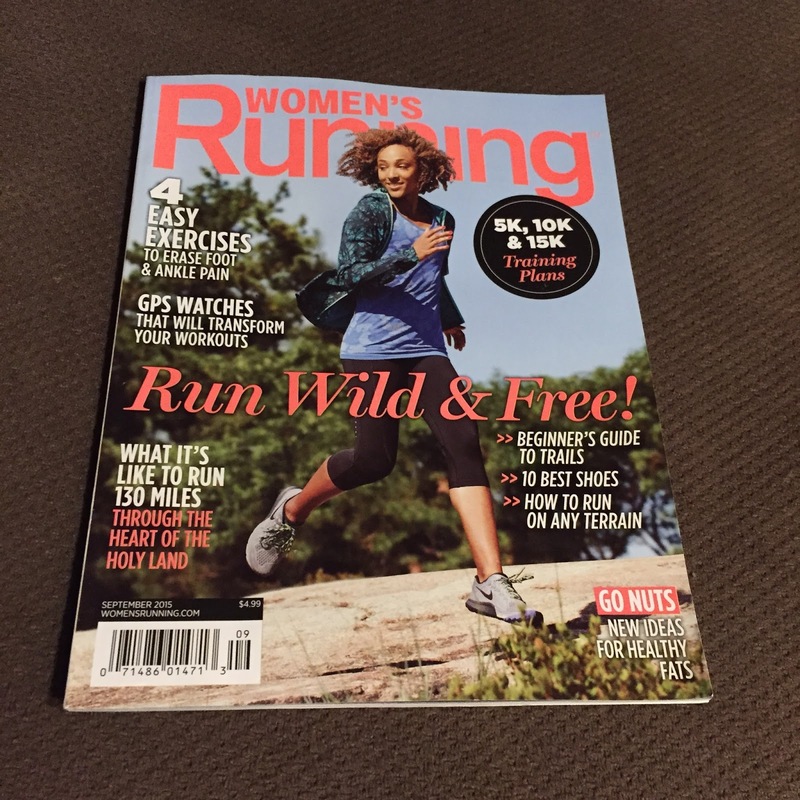 So are you a regular reader of Women's Running? So happy I found this magazine! They have really good articles online too! They are currently running a cover search contest and I encourage you to nominate someone who inspires you or even yourself! Check it out here! 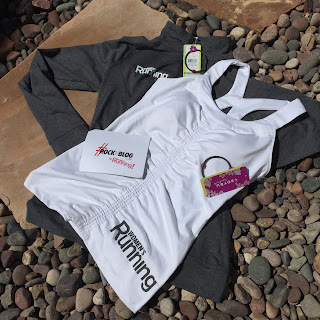 I buy Women's Running and I follow them on social media as well - love their articles! The pullover would be great for Fall running! Oh, they both look so cute! I'd say the tank, but since it's get cooler, maybe the pullover? Love that tank and pullover! Too cute! I have not read the magazine before. I am excited about both, pullover a little more! Thanks for the giveaway. I've heard so many awesome things about Soybu, but have yet to try their apparel. Since Fall is here I'm excited for the pullover. I have read it, it is awesome! I would love both tops for fall races! Awesome! I'd love to win that! Good luck with the RNR runs!! You are NOT a small? Are you an XS? I have never read magazines like that before (I am a bit lazy when it comes to reading) but I love to workout. Surprisingly I am more excited about the pull over! lol! But the tank looks great too! Thank you for the chance! I'm a huge fan of WRM-- love their articles! I haven't read the magazine yet but I do follow their social! As for tank vs pullover... I ALWAYS need more tanks for classes, but the pullover would be GREAT for the start of the fall running season as the weather starts to turn! Thanks, as always, for the excellent giveaway opportunity! I love the style of the tank but with it being September now I think the pullover will get more use! That is a cute tank. I haven't read the magazine but it looks like a great one. I love the tank! It's super cute! I have read the magazine and love it! I love pullovers, but that tank is really cute! Yes, I've read the magazine and love it. I should totally subscribe. I love that tank but the pullover looks awesome. WOuld love to try Soybu. I would love to try the pullover, it looks amazing! I have never read the magazine, but now I must!! I have never tried Soybu, but would love to!! I love the tank but am in need of long sleeved running apparel. I can never bring myself to buying it since I only use it a couple months per year (I live in Florida). They are sooooo cute! Never heard of Soybu but am always looking for new healthy snack/food options! I have never read the magazine I'm waiting until my other subscriptions expire this Christmas so I can update them and get some new magazines flowing through my mail box! I love Women's Running. I've been in the process of moving so I let all of my subscriptions lapse so I can get my new home in order, but when I'm done I can't wait to get my Rachel Ray and Women's Running back and read on my patio. Love Soybu, I only own a skirt and a top but I love the colors they offer. I'm really intrigued to try the top with the ruching, I've always been hesitant to get tops with that because I'm not sure they would rub but I'd love to try it out! Women's Running is one of my favorites! I love to read it when I actually have time to relax! I love the Soybu pullover! I live in an area with constantly changing temperatures, so having a nice pullover to wear is always super nice! Oh, heck, I"m in! I love Soybu. And Women's running is great motivator! I haven't bought anything from Soybu but I love it all. I haven't read the mag. I want the pullover! I would love a new pullover, but now that I live in the south again I think the tank would get more use in the coming weeks! I haven't subscribed to a running magazine before and have been thinking about it. Yes, I love the magazine but have tried any Soybu gear yet. I'm loving the tank a lot! The tank is so cute! I haven't tried anything from Soybu but it sounds cool! I have read Women's Running and it's got a lot of women specific articles - Great Mag! I hate running but i love workout clothes - lol, that sounds terrible, i know. i am excited about the tank. I am a teeny tiny small but i still love to keep fit in other ways except running. 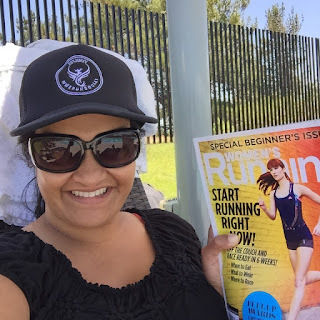 I am a huge fan of Women's Running magazine! It is one of the few I purchase. I'm loving the tank! I'd be especially excited about that pull over. I occasionally pick up a copy of women's running when in at the book store. I've not tried either but am interested in giving them a shot. I would love the pullover. I haven't read the Women's Running Magazine before, but it looks informative. I haven't tried Soybu gear yet. I'm excited about the pullover. No, I have not read the magazine and I just love the pullover. I have not tried Soybu gear. I've never read it and never tried the gear. Def excited for the pullover as the weather cools down. i love pullovers - especially with thumb holes! the tank is really pretty too - it would be great to wear to hot yoga. I've read the magazine (online content) and really enjoy it. I'd be psyched to try out that pullover - perfect for fall! I've seen that magazine and read a few articles before. I really like that pullover, great for the cooler temps that are heading our way. I love love love Soybu!! I have just started reading Women's Running online... some good stuff! The pullover would be fabulous - starting to get chilly up here! Thanks for the giveaway. Great giveaways this week! Love the tank! I've flipped through WR mag, but never had my own to sit and read! Never tried Soybu gear, but am always looking for different brands to give a try. Def excited about the tank, even though it's white! I have never read Women's Running magazine/ I have never tried Soybu gear. I am more excited for the tank. I've never read Women's Running, but I definitely want to check it out. I'd be stoked to win that pullover! I LOVE that magazine :) I love the tank top-so cute! Love the tank and the mag! Yes, I've read the magazine and like it. Would love the pullover! I love that magazine and I subscribe to it. I am definitely excited about the pullover ! Both are so cute! I have never read the magazine before, the running clothes look so comfy though! I've never read that magazine. This is the first I've heard of it. I'm most excited about the pullover. Thanks. I have never read Women's Running magazine. I am most excited about the pullover. I am excited for the pullover..I live in those things. I have never read it, but I think I need to! I am a recreational runner that never does any races or anything, I just run almost every day outside. I have never tried Soybu gear, but it looks fantastic. I am really excited about the pull over because its hard to find a good running pullover! Love the blog and would love to win! I love that magazine! I've seen a lot of Soybu clothing online, but don't own any myself. I'd really love to win that pullover since it's starting to get chilly in New England. I haven't read the magazine, but I do follow their social! As for tank vs pullover... I always could use need more tanks for running, but the pullover would be great for the start of the fall running season as the weather starts to turn! Thanks. No, I have not ever read Women's Running magazine. Secondly, I have never tried Soybu gear. I just started to begin working out as well as running this year after 2 1/2 years in bed. I am most excited about the pull over. No I have never read this magazine nor have I tried Soybu. I am most excited for the pull over. I have read the magazine. I'd like the tank. I'm entering for my daughter but I can tell you that both would be worn alot. She loves to run 5k's and such. It is a great magazine and unfortunately, I cannot wear a small either! I'm excited about the pullover! I don't do tanks much. Not familiar with the magazine, but would like to be! I've never read Women's Running magazine. I've also never tried Soybu clothing, but I'm keen to try out that tank! I don't think I've ever read Women's Running magazine or tried Soybu gear before. I'm more excited for the tank.